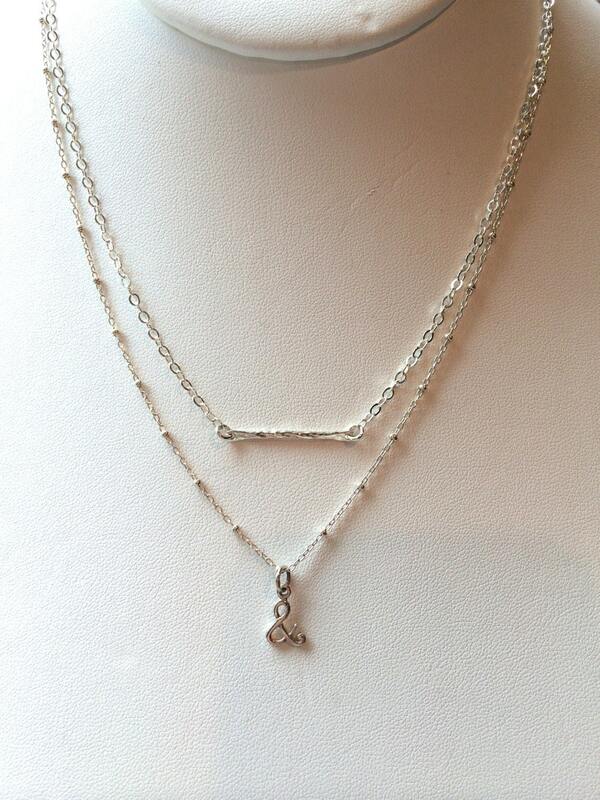 Call this your new everyday necklace to be worn alone or with other necklaces. 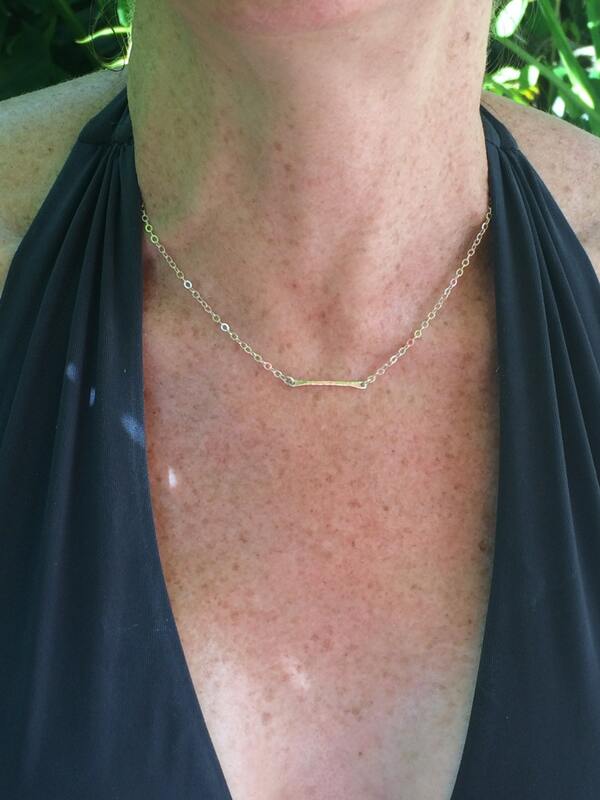 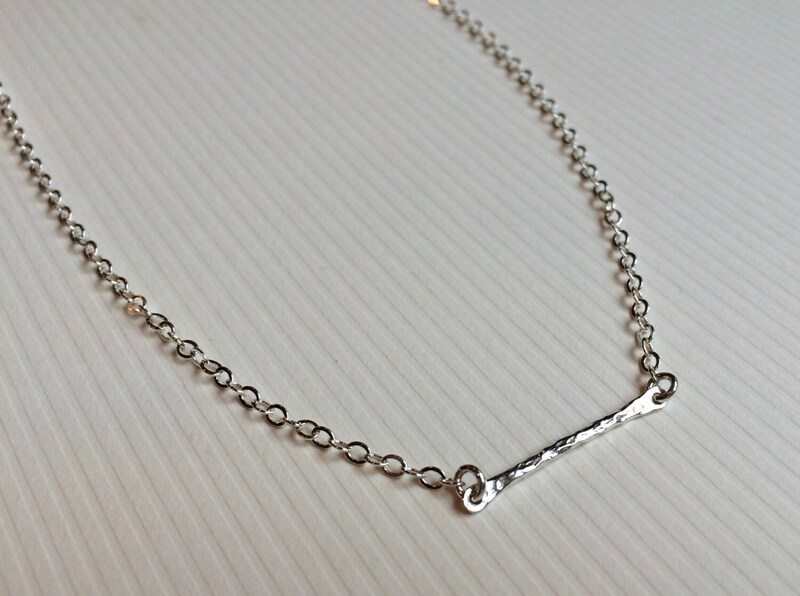 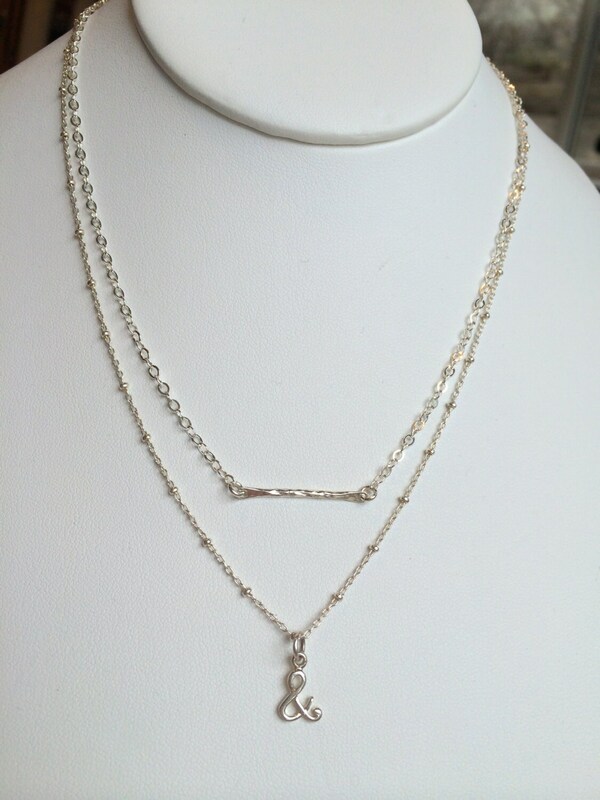 A scant 15 1/2" necklace with extender falls gracefully at your collarbone with its subtle hammered bar. 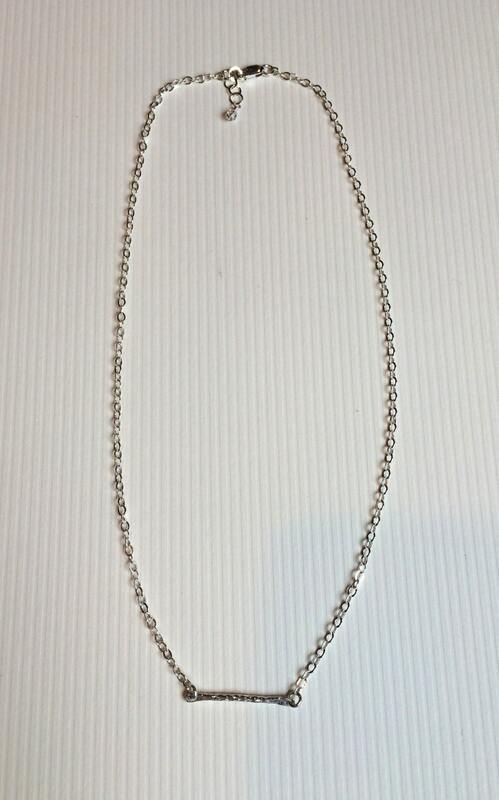 * Hammered silver bar measures 1 1/4"